Image Comics has fast-tracked the first two issues of the breakout hit series from Mark Millar (Kingsman: The Secret Service) and Greg Capullo (Batman) for more printings in order to keep up with the skyrocketing customer demand. REBORN #1 asks: Where do you go when you die? Not heaven or hell; somewhere else. Somewhere you have to fight to survive. Somewhere the people from the past are waiting for you—the good and the bad. 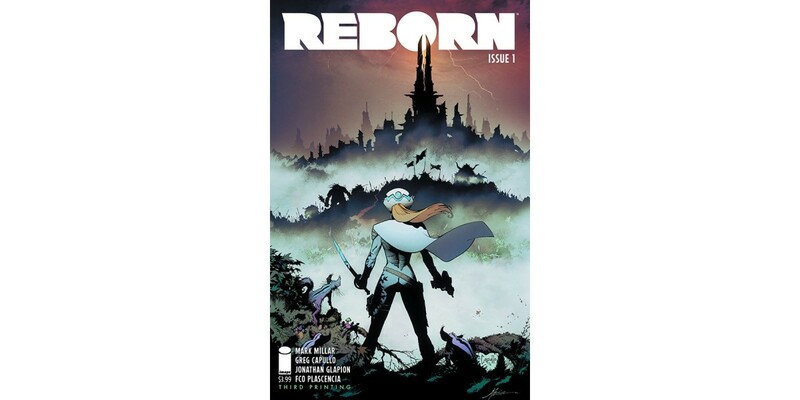 In REBORN #2 the epic sci-fi fantasy story continues. After her death, Bonnie is reborn in Adystria and has a sword thrust into her hand. As the evils within the Dark Lands get stronger, she is Adystria's only hope: their savior.